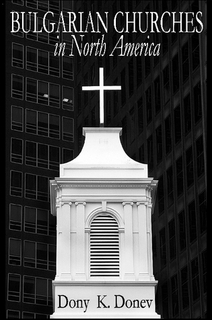 Over a decade ago, after publishing Bulgarian Churches in North America: Analytical Overview and Church Planting Proposal for Bulgarian American Congregations Considering Cultural, Economical and Leadership Dimensions, we purposed to explore the possibility of implementing the church planning program among Bulgarian Diasporas in various destination countries of migration. With this in mind, we carried the vision for establishing 20 Bulgarian churches outside of Bulgaria by the year 2020. Cyprus, the United Kingdom and Canada were among the first to successfully implement our program. Bulgarian migrant communities in France, Italy and especially Spain and Germany followed with great enthusiasm – there are 7 Bulgarian evangelical churches active in Span today, and 18 in Germany. Of course, not all parts of the program proved to be efficient. The program’s modules and training that was implemented, however, have produced 47 strong church plants thus far and the number is growing every month. The program proposed has been confirmed by the leadership we have received from the Holy Spirit. Our commitment to seize the opportunity and work toward adding more Bulgarian churches by the year 202 has by far surpassed all expectations.